Chennai, Aug 26: Chennai police are searching for a woman named Shahanaz, which until now has been married for 15 people, and escaped with the money. Although some people have claimed that they had "married" more than 50 times, police have been able to concentrate on only 15 husbands, reports Mail Today. The mother of a 10 year old tricks conning Shahanaz husbands instead began Pathanamthitta in Kerala. About 11 years ago, she first entered into marriage with a man named Siddique, who bore him a son. But the news of his alleged extramarital affairs as a result of a divorce and had to leave. She married shanawaz following, which was Kayankulam. 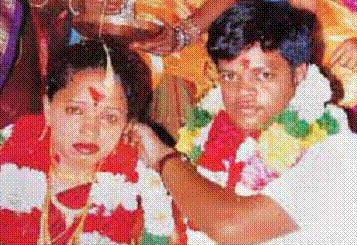 The wedding was short and she left him, taking with her ​​13 gold and Rs 1.1 lakh in cash. Maybe this episode was encouraged and stimulated his appetite for more. 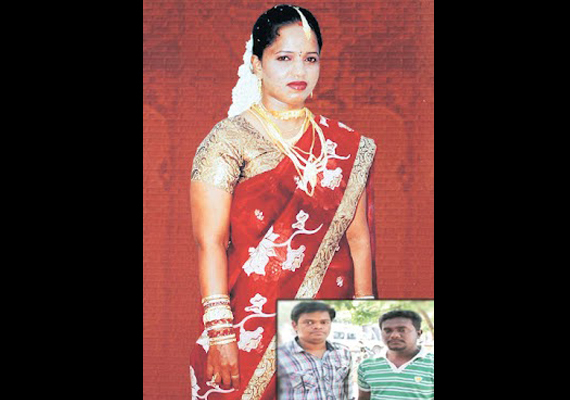 Soon she married another man and repeated his disappearing act and later moved to Chennai. Once in Chennai, she got a job in a shop.There free margin in 2006, met Rajesh, a collection agent in a bank, and the two married. She left him for an assistant director in Kollywood. 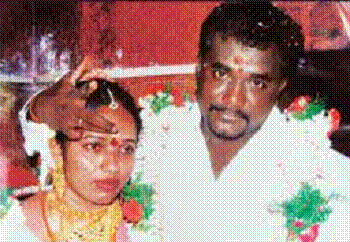 After the wedding reception, the couple went to Trichy for honeymoon. There he gave the slip and returned to Chennai with all jewelry. Back in Chennai and resumed relations with three friends - Prasanna, Chandra Babu and Saravanan. She married three, one after the other and pour them all. Never stay in place of her husband. She claims to be preparing for civil services exam and staying in a hostel. Staying away from home helped him carry out the act of disappearance, police said. Shahanaz often change hostels to avoid detection.